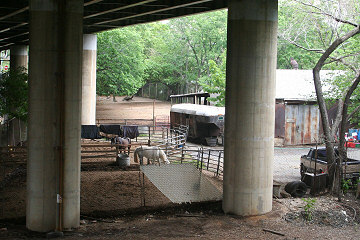 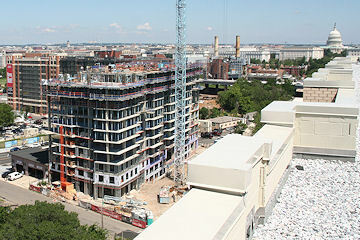 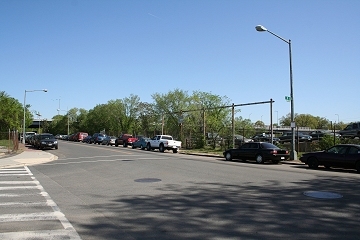 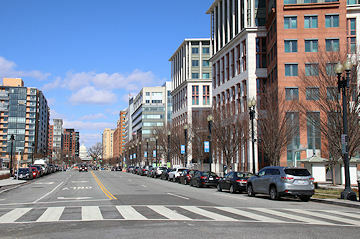 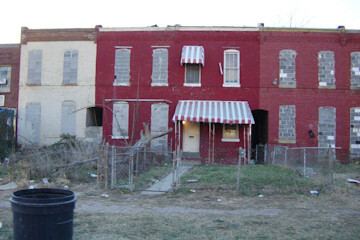 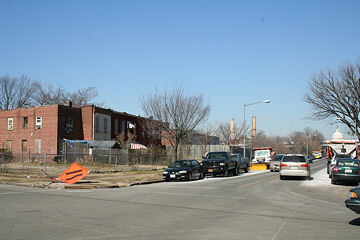 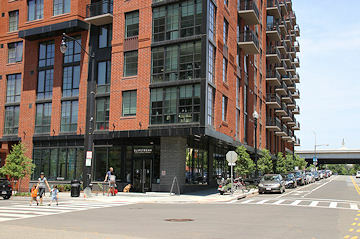 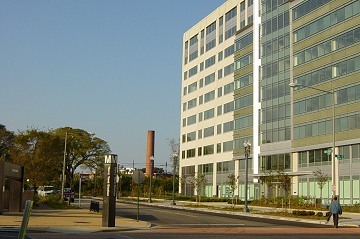 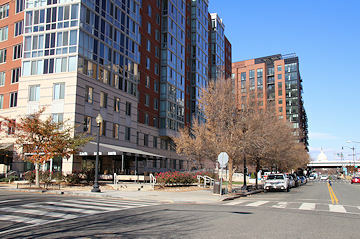 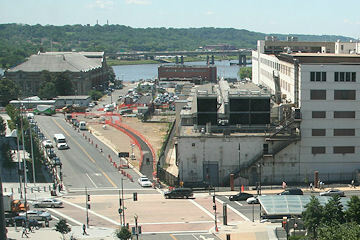 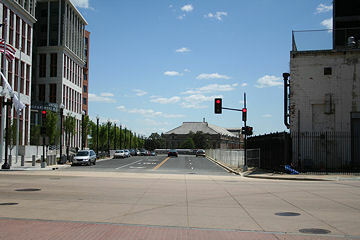 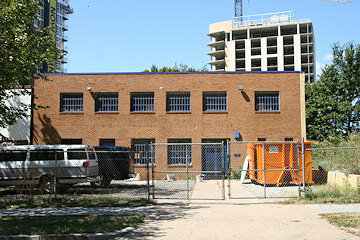 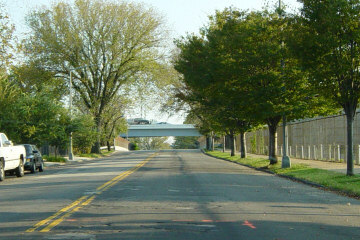 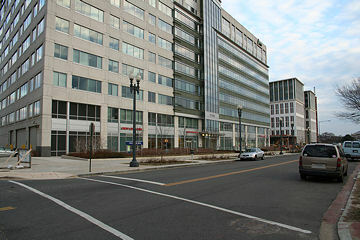 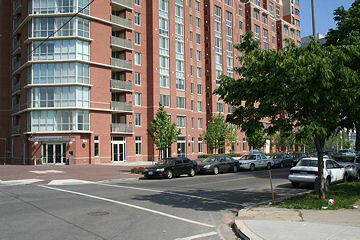 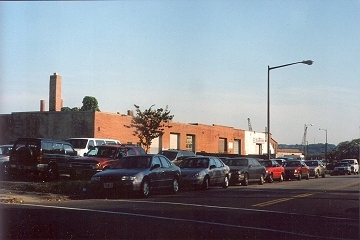 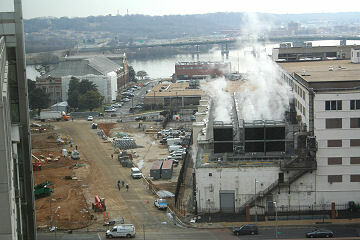 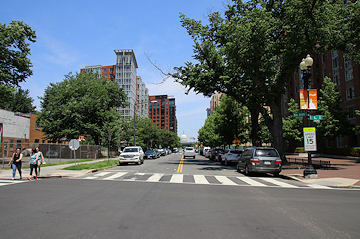 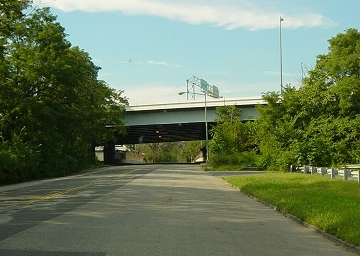 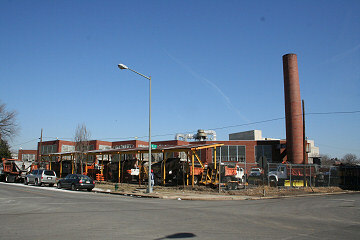 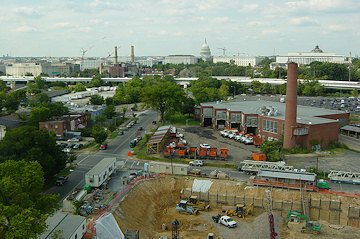 Two views of M Street, looking south from just south of the Southeast Freeway. 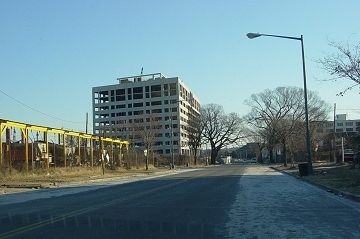 The top photo was taken in October, 2003, not long after the 1100 New Jersey office building was completed. 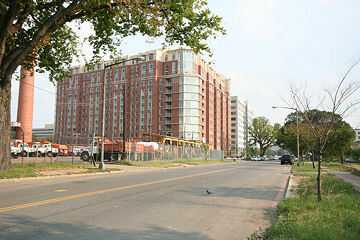 The bottom photo is from November 2012, with Capitol Hill Tower (left) and 909 New Jersey (right) long completed, and work underway on what will become the Park Chelsea apartment building at 880 New Jersey. 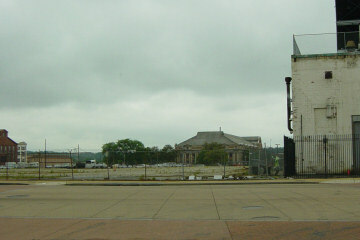 What's gone? 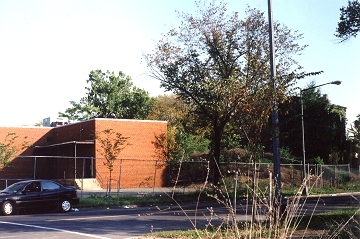 The DPW Trash Transfer station. 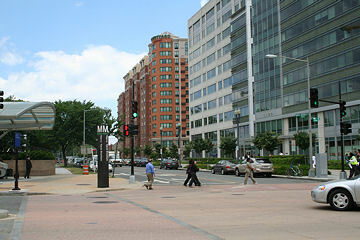 Out of view is the US Department of Transportation Headquarters, at the far end of the avenue. 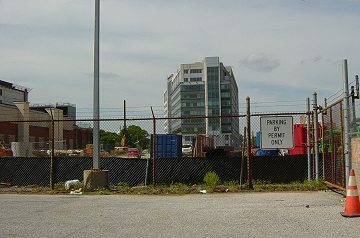 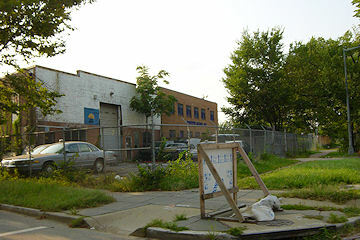 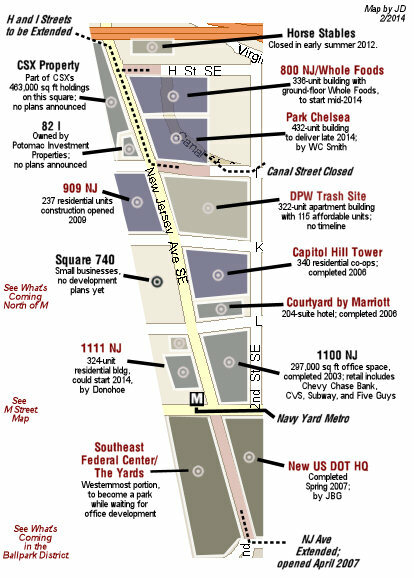 Current development projects on the board along New Jersey Avenue.